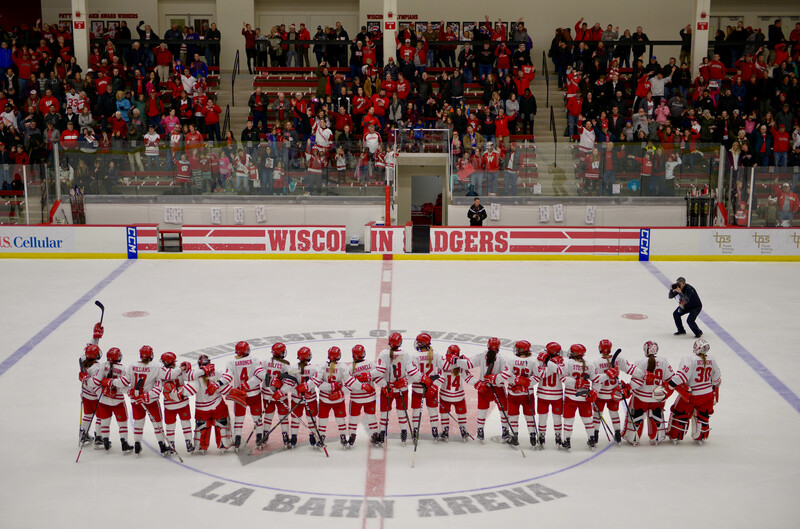 Even though the season came to a bitter end, the University of Wisconsin women’s hockey team still has so much to be proud of. For starters, the Badgers managed to edge out their rivals, 2016 NCAA champions, the University of Minnesota, Twin Cities for the USCHO.com No. 1 pre-season ranking. Even though Wisconsin fell to Minnesota during the semifinal round of the 2016 NCAA Frozen Four tournament, it was the Badgers’ impressive talent and intense work ethic that made USCHO.com choose them over the Gophers. 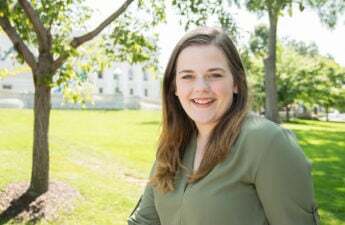 One of the key reasons behind this ranking was Wisconsin’s senior goaltender Ann-Renée Desbiens, who had managed to earn an impressive 21 shutouts during the 2015-16 season. Along with an impressive number of shutouts, Desbiens also held an NCAA record for save percentage (.960) and goals-against average (.76) for the season. Desbiens had much to build on, and it appeared she had a high bar set for herself during the 2016-17 season. Desbiens not only kept up with the intense standards she had achieved last season, but she added several more records to her resume, including a record number of career shutouts (54) for either a man or a woman, a .963 save percentage and .71 goals-against average. Desbiens was just one of the six Wisconsin seniors who would help this team achieve greatness. Senior captain and forward Sydney McKibbon would prove to be quite the asset when Wisconsin needed her the most. If the Badgers found themselves with a need to score, it was McKibbon they called on. 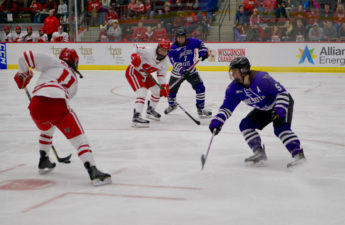 McKibbon would end the season with a grand total of 32 points (13 goals, 19 assists) for the Badgers, making her the fourth-highest scorer for UW. McKibbon was also assisted by Sarah Nurse, who made a major scoring impact for Wisconsin this year. Nurse has an impressive 53 points (25 goals, 28 assists), a +42 record for the season and an astonishing three hat tricks this year. Nurse would be the second-highest scorer for UW this season, and her absence will leave a great hole for the Badgers come 2017-18. Nurse’s fellow line mate Annie Pankowski truly anchored the Badger team this season. Even though Pankowski started off the season with a bit of a scoring slump, not scoring a goal until Nov. 16 against the University of Minnesota, Duluth, this slow start did not phase her, as she would end the season with a total of 55 points (25 points, 30 assists), a +42 record and two hat tricks. The first line was completed with Emily Clark, who truly managed to win some games for Wisconsin this year. 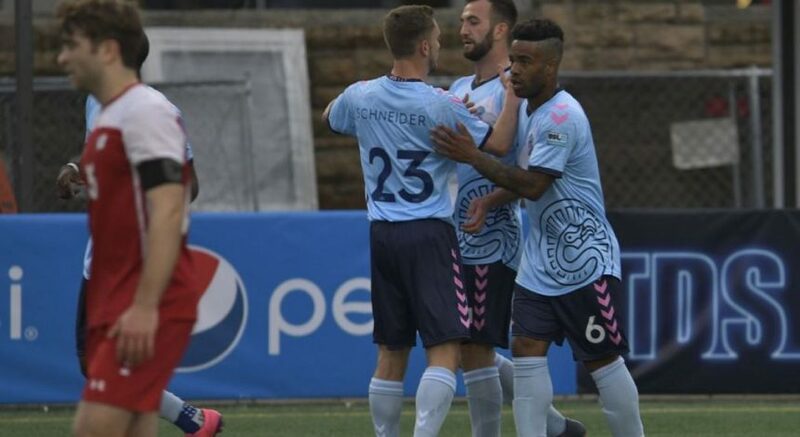 Clark had a grand total of 9 game-winning goals this season, which added to a grand total of 46 points (20 goals, 26 assists) and a +48 record, the highest overall on the team. It wasn’t just the upperclassman that led this Badger team to an outstanding season. Freshmen like Abby Roque, who garnered the WCHA Rookie of the Year award, Presley Norby, Mekenzie Steffen, with 2 game-winning goals, Alexis Mauermann and Maddie Rowe all made quite an impact during their first year. Another freshman who made some waves this year was goaltender Nikki Cece, who is expected to step in for Desbiens after she graduates. Cece skated into the net when Desbiens sustained a concussion early this season, and managed to earn four wins and even get her first shut out in her collegiate career. 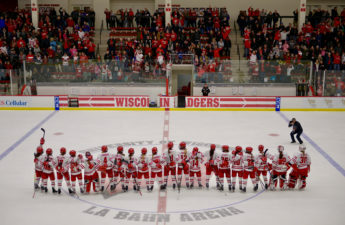 Even though the season ended without Wisconsin bringing home the NCAA championship trophy, the Badgers still managed to win the WCHA regular-season and post-season titles. Wisconsin ended their season with a 33-3-4 record in the NCAA and a 22-2-4 record in the WCHA. Wisconsin will retire some truly great seniors this year, with Desbiens, Nurse, McKibbon, Mikayla Johnson, Jenny Ryan and Mellissa Channell all completing their final season of eligibility this year. This senior class has helped Wisconsin earn three WCHA post-season titles, two WCHA regular-season titles and four Frozen Four appearances. With so much accomplished this year, and with Wisconsin retaining three of their top five scorers (Pankowski, Clark, Roque) next year, the team’s 2016-17 run is yet another amazing season the Badgers can add to the record books.